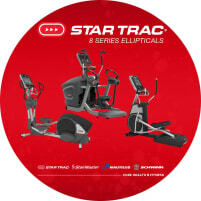 Star Trac 8 Series Ellipticals - DIRECTLY FROM THE MANUFACTURER! 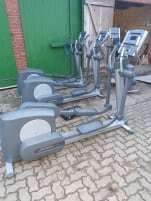 3 almost unused crosstrainers of the brand Keiser for sale. 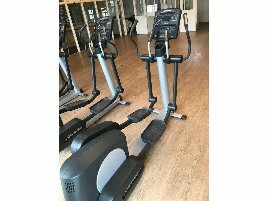 Ellipticals which are also called crosstrainers or cross trainers, have become a real success story in the fitness sector. With a market share of more than 70% of home training equipment, ellipticals are the most popular training machines. They are ideal for an effective endurance training that is easy on the athletes’ joints but trains many large groups of muscles. 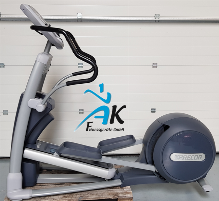 There are some criteria to consider when buying a new or used cross trainer, because a professional elliptical in a gym needs to be more resistant and high-quality processed than a home training machine for occasional use. Gyrating mass: and drive pulley: Gyrating mass means the weight of the fly wheel and the drive pulley which is responsible for the transformation of an elliptical. For crosstrainers with the fly wheel at the front end a minimum weight of 10kg is enough to guarantee a calm and fluid motion sequence. However you should take a glance at the manufacturer’s definition of the swing weight, because some include pedal mounting and steps. Of course the way to get an idea of the motion sequence is to test it yourself. Braking system: Electromagnetical braking systems like the eddy current brake have proved themselves and became standard technique. However, there are significant quality differences between single manufacturers and the diverse models of crosstrainers. The intervals of the pedal resistance are too large at braking systems which are cheap and of inferior quality. This causes a massive increase of pedal resistance for higher levels of difficulty. On the contrary high-quality braking systems allow to adjust the resistance at every level of difficulty which is ideal for the different training programs. Security aspects: A TÜV or CE labelling at a new or used cross trainer ensures that the crosstrainer got tested and met the test’s requirements. TÜV checks for example if the permitted maximum weight stated by the manufacturer is correct. Furthermore non-slip pedals are important to avoid accidents. Some ellipticals have pedals with extra high edges to prevent slipping off. 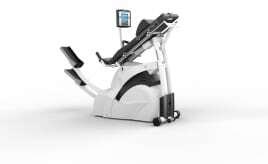 Frame stability and product weight: The motion sequence of the crosstrainer results in vibrations which can be audible as clatter or other noises at the frame. High-quality processing perceptibly reduces these noises of the elliptical. 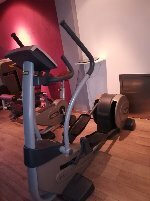 Condition of the used machine: If you are interested in a used elliptical or crosstrainer, it is recommendable to ask for its condition. Overhauled and maintained cross trainers from manufacturers or retailers of fitness equipment like ellipticals are of special interest, because they often provide an additional guarantee. Are you closing down a gym and want to sell the used crosstrainers or ellipticals? 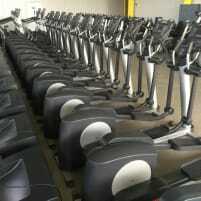 On fitnessmarkt.com you have the opportunity to insert used or new fitness equipment like crosstrainers or ellipticals. A detailed description as well as some pictures of the new or used machine are recommendable so the prospective buyer has the most important information just at a glance. 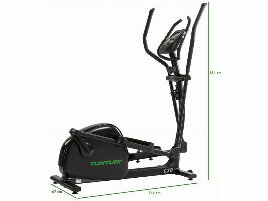 If you don’t have enough time to go to a gym but don’t want to miss endurance training, it is a good alternative to buy a new or used elliptical or crosstrainer for your home. In any case you should get advised by an expert before using new fitness equipment to avoid injuries. Buying a new or used elliptical or crosstrainer for your home can be an advantage because you no longer depend on opening hours of a gym, but can exercise early in the morning or late at night after work without leaving the house. 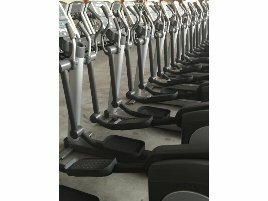 On fitnessmarkt.com you can find a wide range of new and used ellipticals and crosstrainers.